Is the world real or unreal? Dr. Sadananda, a retired scientist by profession (US Naval Research Lab), is a disciple of Swami Chinmayananda, and one of the founding members of Chinmaya Mission Washington Regional Center. He has conducted several two-day Memorial Day spiritual camps at Chinmayam in the past: Upadesasara of Bhagavan Ramana, Dakshinamurthy stotram of Shankara, Advaita Makaranda of Lakshmidhara kavi, Mandukya aagama prakarana and Sadvidya of Chandogya. 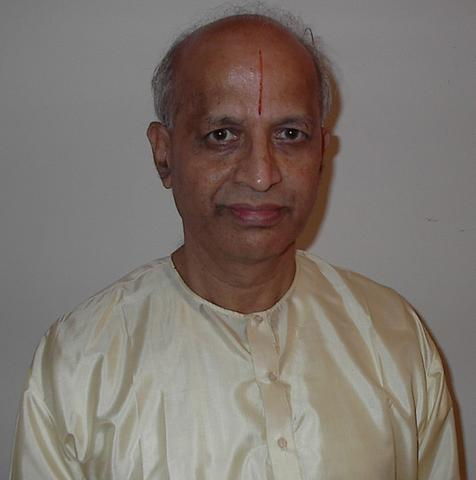 He has also conducted several Vedanta classes in Northern Virginia. He is currently teaching Gita Navaneetam classes at Durga Temple and conducting discourses on Taitereya Upanishad in Fairfax. Dr. Sadananda was inducted into the Chinmaya Mission Acharya Fellowship by Swami Tejomayananda (Guruji) at the 16th Mahasamadhi Family Camp in Toronto (Jul-Aug 2009).